This entry was tagged add a PageRank image to your website, analyzer google pagerank, check google pagerank, Display Page Rank on your your website, display pagerank, display pagerank on my website, display pagerank on website, Free PageRank display, google page rank images, how do i find the pagerank of a website, how to get google pagerank, my websites pagerank, pagerank buttons, pagerank how to, pagerank image code, pagerank images, whats my pagerank by pagestat. Bookmark the permalink. 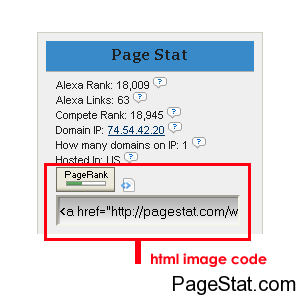 I have just now added my website in page stat,but my website is not having page rank,i am trying for page rank for my website from 6 months..my keywords are having high competition,Even though i have struggled hard to put up in the first page of Google..